A dream for most riders, a dream that they live, Baljeet and Poornima have always been Enfield riders. After devoting ten years to the rat race, they decided (what every one of us would love to do) it was time to chase their dream & desire. 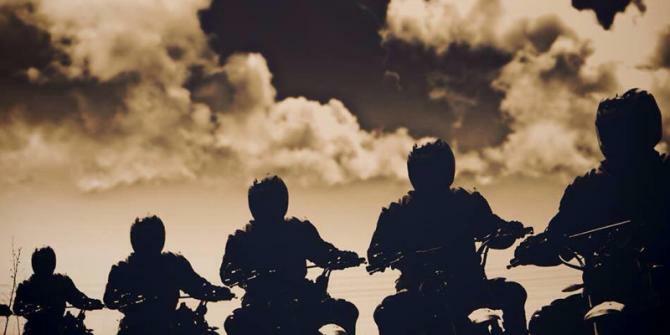 Born out of their passion for bikes is Enfield Riders, a motorcycle tour company. Taking forward this dream, their company has been with IBW 2013 and this time round they have been designated as the official 'Ride Partner' for IBW 2014. Excerpts from an interview with Baljeet. Enfield Riders was born out of passion. And we associate passion with just one thing: travel. For us there is no greater pleasure than picking up a bag, hopping on to a bike and setting off to explore uncharted terrains. It seems right to say that we plan our life around travel and not travel around life. Beginning with a fleet of just ten Enfields, today Enfield Riders has grown to a fleet of twenty five bikes that cover almost all variants of the Royal Enfield. 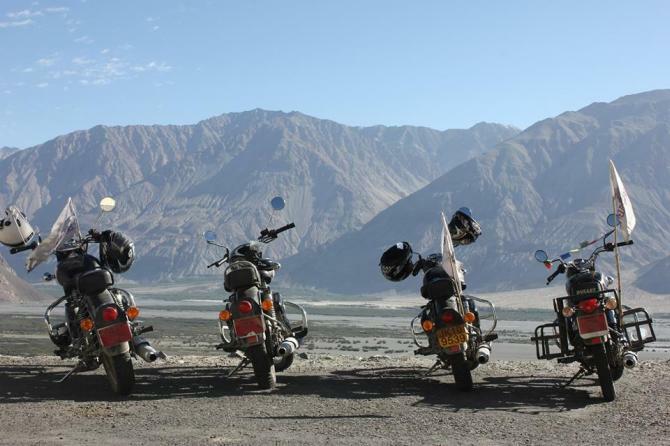 Enfield Riders provide bikes and facilities for riding expeditions. Not just a bike, but helping out with the route, arranging accommodation and anything else that maybe required by a rider for an eventful expedition; basically the whole nine yards pertaining to a bike tour. The Royal Enfield is one of the sturdiest bikes available in India for long road journeys & mapping that treacherous terrain. The Royal Enfield Bullet, described as the oldest continuously produced motorcycle in the world, is a cult product for Bullet lovers who love it for its vintage feel as much as for the thrum of its engine. Muscular and pliant, the Bullet has found renewed popularity over the last few years, as leisure motorcycling in India has boomed (I couldn't agree more with Baljeet's description of the Royal Enfiled). It's one of the most macho bikes after the Harley Davidson. In what way are you associated with IBW 2014? We have been elected as the official ride partner for IBW 2014. And it truly is an honour to be associated with one of the biggest ride festivals of India in such an integral way. We have thus far conducted all chai & pakoda rides for IBW that have originated from Mumbai & provided complete infrastructure required for the ride. Riders started trickling in to assembly point, Fountain Hotel at Mira Road (in Thane district), as early as 6 am. By the scheduled departure time of 7 am, there were over 150 motorcycles roaring and rumbling and raring to hit the highway. The bunch set out to the final destination, Hotel Ahura, near Dahanu, about 85 km away, where we were joined by a group of riders from Surat. The parking lot at Ahura had all sorts of motorcycles -- Royal Enfields, Suzukis, Harley-Davidsons, Kawasakis, KTMs, Hondas. There was extensive media coverage for the event with a media crew of about 8-10 people present. This picture right here, was the true spirit of India Bike Week on display. Apart from organising the chai & pakoda rides, we are even providing a complete expedition for people travelling by 'the two wheels' for IBW. We provide rides for riders coming in from Mumbai, Pune & Bangalore to Goa for the event. Being riders ourselves, we understand the need for maintenance of having to stop for a rest or repair in between. To make things easier for the riders, Enfield Riders has arranged the entire tour for them i.e. from start to finish; bikes, bike maintenance & assistance in-case of break downs, meals, accommodation -- everything that the rider would need. What are your expectations from IBW 2014? We believe in supporting riding & riders; anywhere in the country, be it Goa, Leh-Ladakh, Kerala, South India etc. At IBW, since we are their official ride partners & we are a riding tour company, we look forward to meeting riders from across the country and making it be known that we organise riding tours with a complete 360 degree support. IBW 2014 is going to be bigger and better and I am sure that all riders are looking forward to visiting IBW and knowing more about Enfield Riders. Why you must not miss India Bike Week 2014! What's good for your bike: Carburettor or EFI?